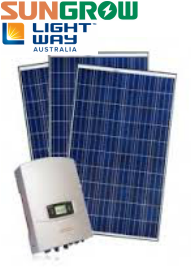 10 Year Australian warranty on Panels, Inverter and Installation. Back-to-back installation, indoor and outdoor unit on the same wall, cable run no more than 10 meters, ground mounted & switchboard on the same level. The included 10 year inverter warranty is exclusive to Driftwind Electrical.